It's the moment you've all been waiting for! We are kicking off the first Private Practice Club meeting of the year with Dr. David G. Kirschen, who will be speaking about adding sports vision into your practice! Dr. David G. Kirschen received his OD and PhD degrees from the University of California at Berkeley. He is currently the Chief of Binocular Vision and Orthoptic Services at the Jules Stein Eye Institute, at the David Geffin School of Medicine, UCLA. He has been in private practice in California for over 41 years while continuing his teaching and research efforts. He also serves as Professor Emeritus at the Southern California College of Optometry. For over 20 years, Dr. Kirschen has been substantially involved in sports vision, working as team optometrist for professional teams, such as the LA Dodgers, LA Kings, Boston Red Sox, Boston Celtics, Chicago Cubs, Cleveland Indians, Houston Astros, New York Mets, St. Louis Cardinals, and the USA Olympics team. Dr. Kirschen has lectured extensively in the United States and abroad. In his private practice he specializes in pediatric optometry, the treatment of binocular vision anomalies, computer related vision problems, strabismus and amblyopia, contact lenses and sports vision. ​Thank you and we hope to see you all there! To jumpstart us back into winter quarter, we have invited Dr. Michael Friedberg from Professional Eye Care Association of America (PECAA) to discuss a key aspect of being a good clinician: patient communication. Dr. Friedberg will be sharing with us how he effectively communicates with and educates his patients. Bring an appetite and some questions for our speaker. Hope to see you all there! 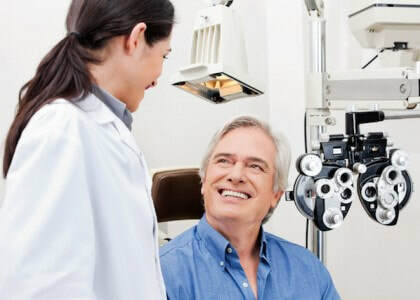 Professional Eye Care Association of America is a national Doctor Alliance Group that works with private practices to maximize their business potential. It could be a great resource for you future practice owners! Please RSVP here for this event. The deadline is Monday, December 5th at 11:59PM. If you are eligible and haven’t already picked up your Starbucks gift card, please find any PPC Board member at this upcoming meeting! Questions? Feel free to contact us at scco.ppc@gmail.com.